There are dissenting notes on various issues, ranging from PM’s inclusion to the role of CBI vis-a-vis the Lokpal. NEW DELHI: The Parliamen&shy;tary panel examining the Lokpal Bill on Wednesday adopted its final report with an unprecedented number of dissent notes from members, including three from individual Congress MPs. There were dissenting notes on various issues, ranging from inclusion of Prime Minister, exclusion of Group C employees and role of the CBI vis-a-vis the Lokpal. 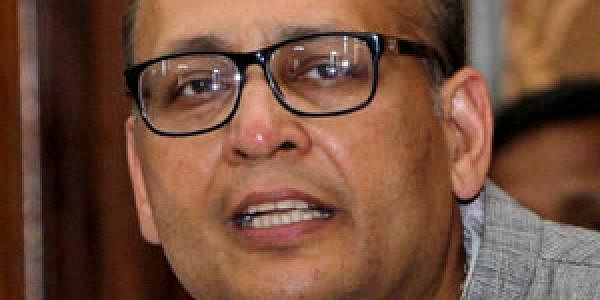 Nevertheless, the Chairman of the Committee on Law, Justice and Personnel, Abhishek Manu Singhvi, asserted that the report would be tabled in Parliament on Friday. In the final report, Group C government employees have been kept out of the ambit of the Lokpal. Three members of the Congress, Deepa Dasmunshi, Meen&shy;akshi Natarajan and P T Thomas submitted dissent notes on this. Incidentally, Natarajan, a close aide of congress general secretary Rahul Gandhi, had earlier supported the exclusion of the Group C category. There has been a bit of a flip-flop on Group C emplo&shy;yees. The committee first decided to bring them under the Lokpal and then overturned the decision at an emergency meeting of the panel called the next day. As of now, the panel report proposes to bring the category under the purview of the Lokayukta. Sources said that 16 dissent notes were submitted at the meeting by members from BJP, BJD, SP, Congress, RJD and the Left. As expected, the panel’s final report left the decision to Parliament on inclusion of the Prime Minister under Lokpal ambit. The final report reflected three views—while BJP and Left members demanded inclusion of PM with exceptions on Defence and National security, the SP, BSP, LJP, RJD, AIADMK and former SP leader Amar Singh opposed it. Congress MPs favoured PM’s inclusion but said he could be probed only after demitting office.